Tencent’s stock price just keeps on tumbling, putting analysts’ still bullish price targets increasingly out of reach. Concern about earnings and a global selloff in tech stocks have dragged Tencent’s shares down 8% this week alone. The Chinese Internet giant was trading at HK$342.80 as of 1:05 pm in Hong Kong on Thursday, the lowest in 10 months. The average price target of 51 analysts is HK$511.62 (approx R868 at current exchange rates). That’s around 50% above current levels, even after several analysts cut their targets last month. Tencent soared every year bar two since its Hong Kong debut 14 years ago. The stock climbed 114% in 2017 and then reached a record high this January. The sheen has rapidly fallen off since then, with the Shenzhen-based company losing about $160bn of market value. 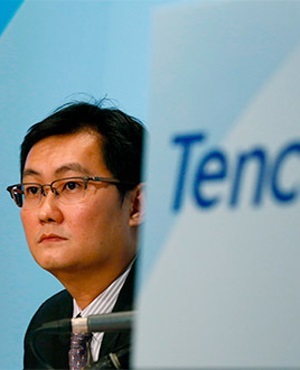 In addition to concern over the tech sector in general, Tencent has been vulnerable to general selloffs in Hong Kong as investors reduced exposure in the most widely-held, liquid names. Concerns have also mounted about its shrinking margins. JPMorgan Chase & Co, which this week trimmed its price target by 4% to HK$480 (approx R815 at current exchange rates), said Tencent may see weakness in gaming revenue in the near term. The outlook next year may improve post second-quarter results as Tencent is likely to see full-year monetisation of its PUBG and Fortnite games, JPMorgan said in a note. Tencent reports earnings on August 15, and analysts are expecting second-quarter income to grow at the weakest pace since 2012. At least 11 cut their price targets in July, including Credit Suisse and Morgan Stanley. Still, all 51 forecasters tracked by Bloomberg have maintained the equivalent of a buy recommendation on Tencent shares. * Fin24's parent company, Media24, is a subsidiary of the Naspers Group. Naspers owns a stake in Tencent.